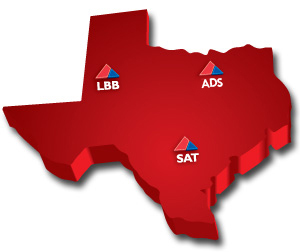 Texas Piper Sales has three Piper Aircraft Authorized Service Center (ASC) locations to provide you the best in aircraft maintenance for your new Piper Aircraft. Each location has knowledgeable and experienced factory-trained technicians and support staff on hand to handle your aircraft with care from arrival to delivery. And with direct access to certified Piper Aircraft parts, available only to Piper ASC providers, you can rest assured that your aircraft will be delivered on-time and squawk-free. Piper Aircraft Authorized Service Center locations served by Texas Piper Sales include: San Antonio, TX at Cutter Aviation San Antonio; Dallas / Addison, TX at Cutter Aviation Dallas-Addison; and Lubbock, TX at Lubbock Aero (a division of Abilene Aero). Each facility offers full warranty service and technical support for all Piper Aircraft models. Please visit the facility locations through the table below. Serving San Antonio, Austin, Houston & South Texas.